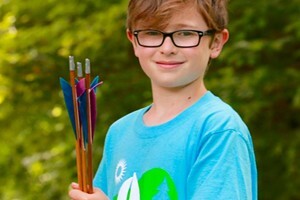 The Art of... Skate Park Etiquette | The Art Of | Kids VT - small people, big ideas! If you've wandered the recently renovated bike path just north of Burlington's Waterfront Park, chances are you've noticed a sprawling concrete addition to the city's shoreline. Nestled between the abandoned Moran Plant and the new Lake Champlain Community Sailing Center is a massive outdoor skate park. Since opening in late 2015, the Andy "A_Dog" Williams Skatepark has routinely been packed with a diverse array of rippers looking to cruise the smoothest surface in town while enjoying a stunning view of Lake Champlain. On the plus side, the consistent crowd is a testament to the undeniable value the skate park brings to the community. On the minus side, it can be pretty chaotic out there. I've been skateboarding for almost 20 years now, and I'm convinced that the most impressive maneuver I can regularly pull off is miraculously avoiding tiny children riding scooters as I charge through the park at full speed. Don't get me wrong; tiny children on scooters are more than welcome at the skate park, but on a busy day, trying to dodge the never-ending flow of park-goers can quickly become just as challenging as learning to ride a skateboard in the first place. Luckily, following a few simple guidelines can help keep you, your kid — and my fellow grown-up skaters — safe out there. Pads and helmets are strongly encouraged. Even the best skaters occasionally have to pay the concrete piper with a nasty spill. When choosing a helmet, look for one that covers the entire head. Knee and elbow pads are also encouraged. Most skate shops sell or rent protective gear designed specifically for skateboarding, but if your child already has a helmet or pads from biking, they should be fine to begin with. If your child sticks with skateboarding and wants to start riding ramps, however, it's definitely worth investing in some skate gear. Similarly, any thick-soled tennis shoe is fine at first, but once it becomes a hobby, go out and support your local skate shop by purchasing your kid some actual skate shoes, which are designed to better withstand regular contact with the sandpaper-like "griptape" found on skateboards. If you're new to skate parks, it's important to understand that they are not like playgrounds where you can run around largely unattended — there is simply too much happening at any given moment. People fly full speed around tight corners. People jump off of huge ledges. Skateboards fly out from underneath skaters and zip across the park without warning. Being aware of your surroundings is absolutely critical. I recommend that parents stay nearby and keep a watchful eye on young skaters. There's no strict minimum age at most skate parks, but the activity does require some leg muscle and core strength. 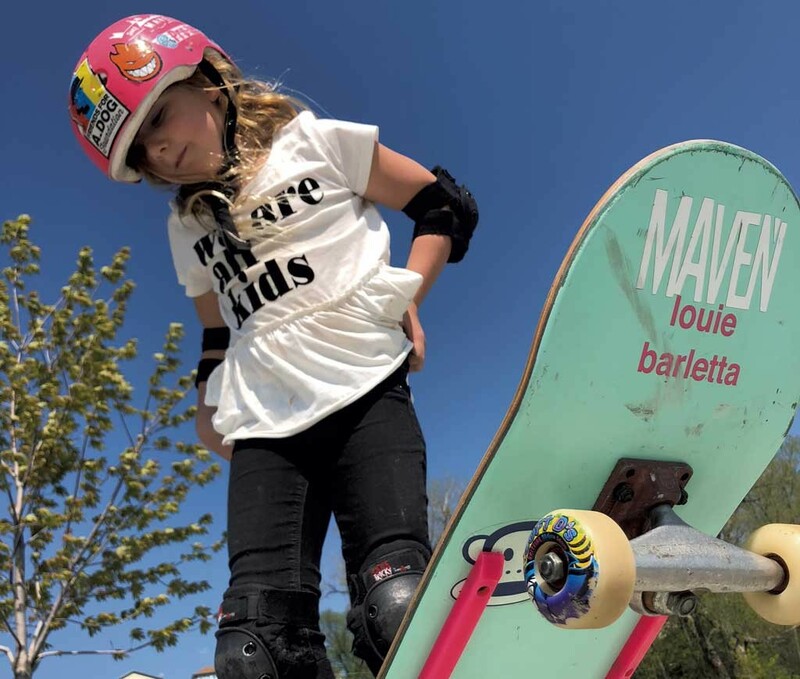 Trina Foster, cofounder of Maven Skateshop in Burlington, let her daughter, Eva, start rolling around at age 2, but she had been regularly exposed to skateboarding. "Depending on physical strength, I'd say they can start rolling between ages 3 and 4, but around 5 is when they can really start to take off and progress," Foster said. Everything you see at the skate park — from the staircases to the tiniest of concrete curbs — was designed to be skated. What looks like a comfortable place to take a seat is actually a skate ledge. Skaters and spectators should be mindful not to hover on or around an obstacle unless they're actively skating it. When your kid is skating an obstacle, he or she should make sure the coast is clear before approaching it. And take turns. Eventually skaters will notice the park has a certain "flow" to it, and they'll get better at anticipating where skaters are headed and when it's safe to go. Experienced skaters will try to string together a series of tricks spanning multiple obstacles in what's called a "line," so it's important to be on the lookout and time turns accordingly. Every skateboarder was a beginner at some point, so it's important to look out for and encourage people who are just starting out. "There are always teachable moments," Foster said, but delivery is key. "Be kind and respectful!" In addition to Burlington's waterfront, you'll find skate parks in Essex Junction, Montpelier, Johnson, Barre, Bristol and Colchester among other towns. Brattleboro is currently soliciting designs for a new outdoor skate park. Talent Skatepark in South Burlington and Flip Side Skatepark in Rutland are both indoor facilities where you don't need to wait for the weather to cooperate. With so many options, there's never been a better time to start skateboarding. The challenges and risk of injury may seem daunting, but skateboarding actually taught me the value of perseverance and dedication. Sometimes I'll spend hours trying the same trick over and over, willingly hurling my body on the concrete before finally rolling away from a successful attempt. That trick may only last for a few seconds, but the satisfaction of landing it and the bonds you forge in the skate park will last a lifetime.